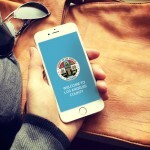 The Los Angeles County Treasurer and Tax Collector bills, collects, invests, borrows, safeguards and disburses monies and properties on behalf of the County, other government agencies and entities, and private individuals as specified by law. The Department also provides enforcement, consulting, estate administration, and public information services. The Treasurer and Tax Collector strives to serve its customers by providing timely and accurate services in a manner that is fair, legal, and courteous. To meet our service obligations, we use technical expertise employing modern, innovative, cost-effective, and flexible methodologies. The Treasurer and Tax Collector seeks to provide an environment which recognizes and rewards employees for their contribution to the accomplishment of the mission. We strive to treat all employees fairly, and to provide them with training and a working environment, which enables them to enhance their skills and perform with pride. The Department seeks to provide its employees with opportunities for advancement. "The County received the highest short-term ratings from each of the three major credit rating agencies and an upgrade in its long term credit rating to AA+. This is the highest credit rating ever assigned to the County."